Research Mission: We seek to develop and demonstrate a platform for personalized television news to replace the traditional one-broadcast-fits-all model. We forecast that next-generation video news consumption will be more personalized, device agnostic, and pooled from many different information sources. The technology for our research represents a major step in this direction, providing each viewer with a personalized newscast with stories that matter most to them. We believe that such a model can provide a vastly superior user experience and provide fine-grained analytics to content providers. While personalized viewing is increasingly popular for text-based news, personalized real-time video news streams are a critically missing technology. To achieve this Personalized Television News system, our team leverages our extensive research experience in story segmentation, visual concept detection, topic linking, news videos augmentation, and mobile visual search. Our team possesses a solid record of building functional prototypes that demonstrate our research visions. 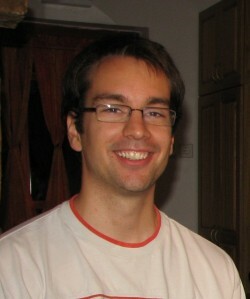 In 2014 Péter Vajda joined Facebook Inc., Menlo Park, as a research scientist.